The 31 October is fast approaching and, as things prepare to go bump in the dark, we’ve rounded up a handful of companies that got rather creative with Halloween marketing campaigns this year. Given the big day falls on a Monday, firms have been keen to get Halloween marketing campaigns out of the door early, with many consumers expected to undertaker their spooking activities over the weekend. Although Halloween is set to have a record-breaking 171m Americans celebrating, which will amount to a total $8.4bn spend – another all-time high – it is no longer just a US celebration. Indeed, the Brits have become increasing receptive of Halloween. Data from Verdict has said that the UK retail spend marking 31 October will hit £472m, up from £460m and £442m in 2015 and 2014 respectively. Broken down, this year’s spend on clothing will hit £160m; food £134m; decorations £100m and entertainment and stationery £77m. However, Verdict noted that Halloween marketing campaigns risk losing impact because it falls on the Monday. “Wider growing consumer uncertainty and the possibility of price rises in the shops, paired with the event falling on a Monday this year–compared to a Saturday last year – will all affect total retail spending on Halloween,” said Greg Bromley, senior analyst at Verdict Retail. He added that “offering immersive and engaging visual merchandising to drive interest and footfall to stores” is the way to win the greatest spend. It’s not quite time for the “Holidays are Coming” advert from Coca-Cola to make an appearance yet – give it a fortnight – so the beverage business made the use of its downtime to embrace Halloween. Posting a cryptic tweet that said redirected followers to join the brand on Snapchat, this was a clever cross-marketing effort, that led to an even smarter video story that secured its place in the list of creative Halloween marketing campaigns. Using a horror film style setting that saw a group of friends heading into the woods for a night of camping, things soon take a downward spiral as one of the campers is left on their own. Worried about the whereabouts of his companions, our hero sets off into the forest, only to find, that’s right, a bottle of Coca-Cola that doesn’t have to be shared with anyone. Oh, and screaming monsters appear – courtesy of some well placed emoji filters. Cute, snappy (see what I did there?) and effective. Continue the rundown of Halloween marketing campaigns on the next page to see where Airbnb is sending its customers. What would a special occasion be without Airbnb? The holiday home business has previously sent a house floating down the River Thames, while it also teamed up with Waterstones to let people spend the night in one of the latter’s book stores. 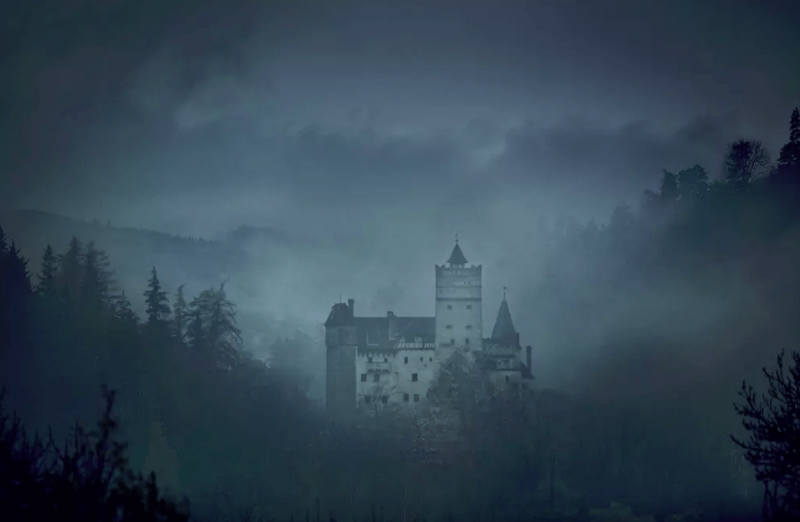 So, with Halloween upon us, Airbnb couldn’t resist sinking its teeth – literally – into the holiday with a campaign that allows guests the chance to spend the night in Dracula’s Castle. Hosted by none other than Dacre Stoker, the great grandnephew of Dracula author Bram Stoker, the competition winners will receive a night’s stay at Bran Castle in Transylvania on Halloween itself. Chilling, but generous, as Airbnb said it will fly the winners in from anywhere in the world, on the off-chance they’re not a local. One fast food firm gets into the spirit of fancy dress for on the next page as we continue the rundown of Halloween marketing campaigns. No, this isn’t anything to do with Burger King’s creepy mascot, although that in itself is quite the horror story. Turns out there’s quite the beef – I’m not sorry – between Burger King and McDonald’s, which have crossed paths previously. Remember when Burger King suggested they stop fighting as part of Peace Day 2015 to create the McWhopper? It was met with a good telling off from McDonald’s CEO Easterbrook. Not one to run scared, however, Burger King decided to have some more bun fun with its fast food foe with its Halloween costume. Keep your eyes open from another angry status from Easterbook over the weekend. Find out how the beverage firm on the next page crept into the rundown of top Halloween marketing campaigns. Knowing full well that people will be knocking back spirits during Halloween, as well as running scared from them, Jägermeister has capitalised on the spooking weekend. Introducing a “Zombie Takeover” that has been promoted socially with #JagerZombie, the liqueur firm has teamed with the likes of London Cocktail Club and Walkabout to get its drink down the throats of the fancy-dressed this weekend. “Consumers have grown to associate Halloween with Jägermeister – it’s a dark, mysterious and complex spirit that’s perfect for Halloween celebrations,” said Nicole Goodwin, marketing director, Mast-Jaegermeister UK. “To build on the success of the last two years we have evolved the ‘Zombie Takeover’ kits making them bigger, better and of course, scarier than ever before.